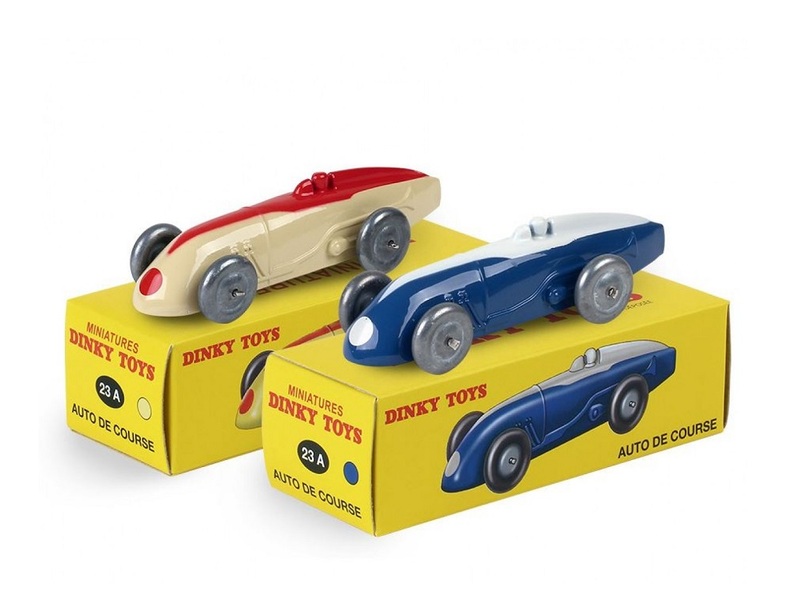 A racing car series issued by DINKY TOYS first in 1934, they were a popular hit throughout the 1930s. The first series of six vehicles were labelled 22A, 22B, 22C .... up to 22f which included a sports car, sports coupe, delivery van, truck, tank and a tractor. These scale models were made of lead. The next series was numbered 23 i.e. 23A, 23B, etc. and were made from Zamac. It was fitted with 'Dunlop' like tyres all of which were novelties then. This series was labelled the Racing Car series. This scale model is an exact rendition of the original Racing Car model.